On April 25th The Trotter Project is pairing with jewelry store Kendra Scott for a fundraising event at their Westfield Old Orchard location. The store will open its doors to friends of The Trotter Project and the public from 6-8pm, serving shoppers complimentary glasses of champagne and sushi from Roka. Perfectly timed for Mother's Day, this is the perfect time to customize a piece of jewelry for the special woman in your life or for yourself as a portion of the proceeds benefit The Trotter Project mission. Kendra Scott is also unveiling a diamond collection of pieces featuring our signature Trotter blue gems. If you aren’t able to make it into the store, proceeds from phone sales during that time will also benefit The Trotter Project. Please click here for catalog and ordering details. Save the Date: Our 3rd Annual Excellence Gala will be held at The Lakewood 1758 W. Lake St. Chicago IL. Details and ticketing to come soon. Join Chefs Tony Mantuano & Joe Flamm at Spiaggia for an intimate dinner hosted by acclaimed culinary MC, Billy Harris. Enjoy a multi-course wine paired dinner, chef meet and greet plus a hosted cocktail hour with hors-d'oeuvres. Priced at $155 (includes tax & tip) with proceeds from the live auction benefiting The Trotter Project and presented by Barilla. For three consecutive nights, Chicago Tribune FOOD BOWL will take over the city’s beautiful lakeshore at The Lakefront Green at Theater on the Lake. Event-goers will discover new restaurants, sample unique flavors and experience the best bars, live entertainment and interactive food events that the city has to offer. A $5 suggested donation for entry will benefit the FOOD BOWL charitable partners, including The Trotter Project. It's officially Chicago Tribune FOOD BOWL and we're celebrating with a special collaboration burger between Au Cheval and London's "snout to tail" pioneers St. JOHN, available only from August 18-25 at Au Cheval's West Loop location. The speciality burger lays the foundation of two classic 4 ounce patties and a house-made bun, while St. JOHN radically reinterprets the notion of "condiments" by adding watercress, minced red onion, pickled walnut dressing and Welsh Rarebit which, we would like to point out, is a lot closer to fondue than rabbit. Eat. Drink. Give Back. Charlie Trotter Days is an annual fundraising event involving the generous participation of corporate sponsors, restaurants, bars, and more. 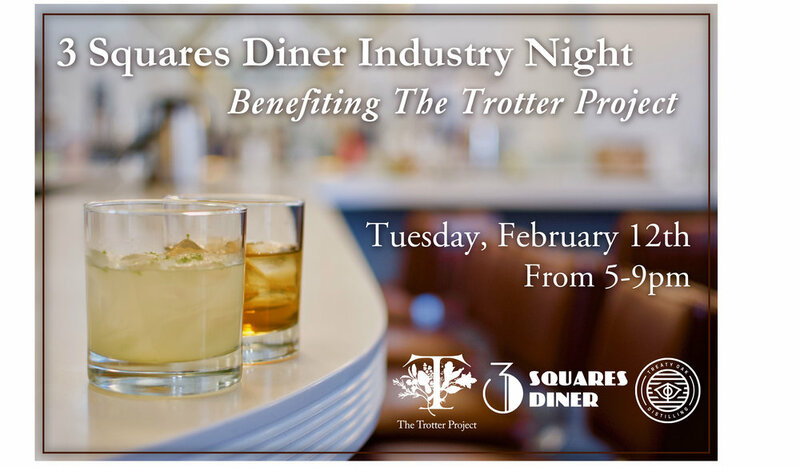 Last year, food and drink establishments donated a percentage of sales for Charlie Trotter Days to raise money for The Trotter Project's Pillars of Excellence Program — an initiative designed to educate, mentor, and provide scholarships for the next generation of culinary and hospitality talent. In exchange for their financial support, restaurants are listed in a nationwide marketing campaign in an effort to increase customer traffic. Are you interested in participating in Charlie Trotter Days? Please click on this link for sign up sheet and to participate or email phoude@thetrotterproject.org for details. Join acclaimed writer and producer Phil Rosenthal for a special screening and conversation of his Netflix hit “Somebody Feed Phil” season two episode set in Venice, Italy. Food by James Beard award-winning chef Debbie Gold. Guests will enjoy Italian wines, Italian dishes from the episode and a Q&A with Phil after the screening, hosted by culinary MC Billy Harris and presented by Santa Margherita Wines. Join Chef Missy Robbins for an intimate lunch for 45 guests, hosted by acclaimed culinary MC, Billy Harris. Enjoy a multi-course wine paired lunch, chef meet and greet plus a hosted boozy cocktail hour with hors-d'oeuvres. Priced at $175 (includes tax & tip) with proceeds from sponsors & auction co-benefiting The Trotter Project.